A textile artist, fine art photographer and mother who loves grabbing her camera and heading out to view the world. But while getting to locations in the early morning or late evening, she did not like the weight and feel of a headlamp sitting atop my head, so she looked around for an alternative and discovered hats with built in headlights! Company Story – Barbara Snyder, textile artist and photographer discovered the Flashlight Hat when seeking an alternative to carrying a bulky flashlight when heading out on her photography adventures. Soon friends started asking her to customize these hats for them. While on photography outings, random hikers, campers and other outdoor enthusiasts would also ask about her hat. They loved the functionality the hat had to offer and really related to the fact that they could get a design that would speak of their own personal style. 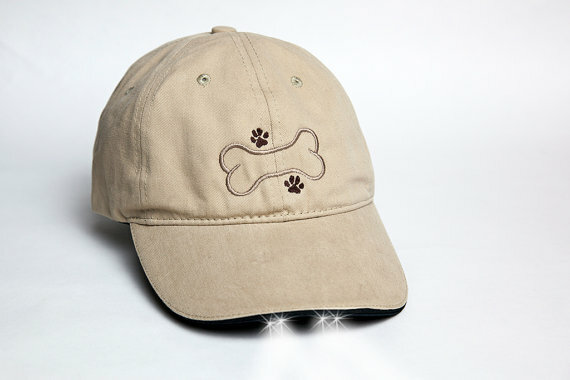 Since starting “Vivid Dog Studios” in 2009, Barbara has been providing people across the country with these beautiful embroidered extremely useful hats. A “Hat with Headlights” gives you the ability to keep both hands free. The lights are located under the brim for comfortable directional light wherever your eyes are looking and the embroidery on each gives you a personal look and style. Although most people purchase this hat for a specific reason they are amazed how often they use it for other purposes. A practical solution with stylish, fun & fantastic artwork. Takes a great idea and makes it personalized and fun. Leaves hand free and practical. Fun designs and color choices. An artist, a mom and person who loves to enjoy the outdoors.